Hyderguda peeps, you just got yourself a new patisserie in your area, and we've come all the way to check it out. Ghrelin Cafe & Patisserie is one of those cafes and dessert places that's doing fusion food with an interesting twist. Before diving right into dessert frenzy, we'll talk a bit about the savoury dishes that you cannot miss. Love your pizza with a bit of desi flavour? 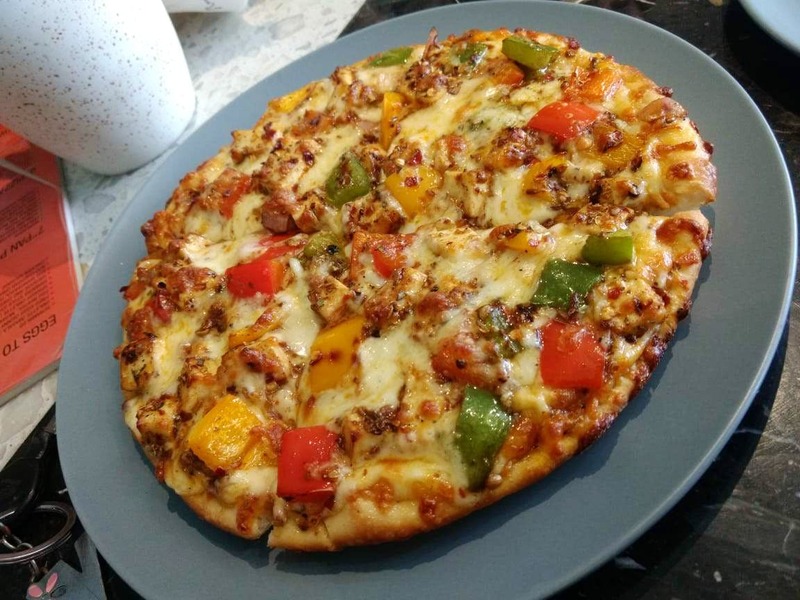 The Paneer Kadai or Spiced Chicken Kheema Pizza will straighten out your hunger pangs. Go beyond the French Fries and try the Spinach Feta Finger Rolls and Chicken Wings with Hot Sauce. For those of you who are inseparable from pasta, Alfredo pasta with chicken is a classic. Dash straight to the waffles menu and dig into Blueberry Cream Waffles and Nutella Banana Waffles, both are two dishes that will take us back to Ghrelin. For desserts, they have a fine range of tarts, cupcakes, macarons (do try the Chocolate one), cheesecakes, handcrafted homemade chocolates, and more. They also have giant cupcakes (600gm each) that are priced between INR 600-700. Got a friend who loves cupcakes? These make for a great birthday or celebratory cakes!